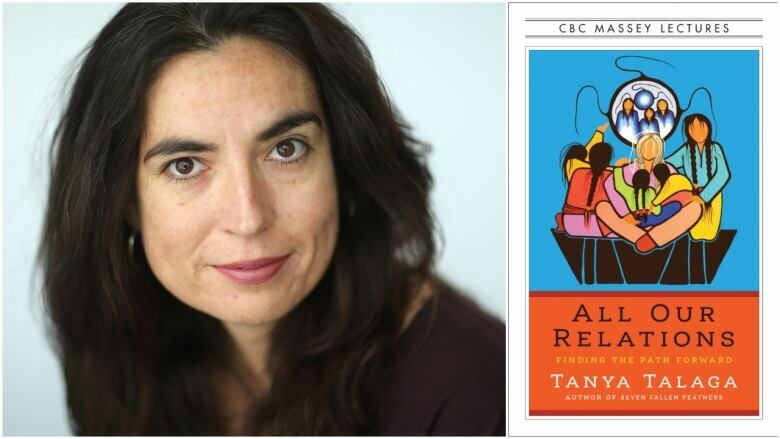 For the 2018 CBC Massey Lectures, Indigenous journalist Tanya Talaga examined the devastating problem of youth suicide in Indigenous communities. She spoke to Anna Maria Tremonti about what she found. The rate of suicide in some Indigenous communities is so high that it starts to feel "normal," according to journalist Tanya Talaga, who has studied youth in crisis for this year's Massey Lectures. "My uncle took his life, my mother's friend took her life, my friend took their life," said Talaga, an Indigenous journalist at the Toronto Star. "It's in the lexicon, it's in your everyday words and your actions, it's all around you," she told The Current's Anna Maria Tremonti. "What is so hard for someone, who doesn't live in that community and is not surrounded by suicide, to understand is, it becomes part of your normal everyday life." "It's not normal," she said. In Inuit villages across Nunavik, Quebec's expansive northern region that is home to 12,000 people, there have been at least 13 youth suicides since the beginning of the year. Eleven of those were in one village, Puvirnituq, a small community of 1,779 people on Hudson Bay. Talaga was named the 2017-2018 Atkinson Fellow in Public Policy, a program that allows a journalist to pursue a year-long investigation into a specific subject. 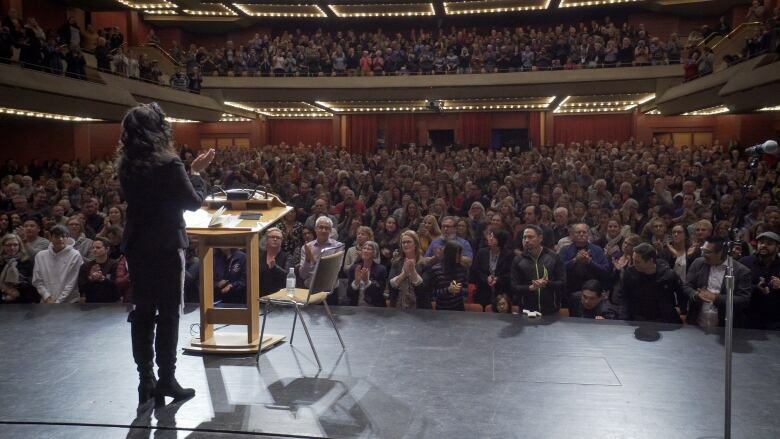 She investigated the problem of youth suicide, and turned that work into five talks for this year's Massey Lectures, which started in Thunder Bay, Ont., on Oct. 16. She is the first Ojibway woman to deliver the lectures, which air on CBC Radio this week. The series and the accompanying book are called All Our Relations: Finding The Path Forward. She believes that youth suicide is driven by the inequality that affects Indigenous children from birth. "Growing healthy children, it's not really rocket science," she said. "You have to have safe housing, you have to have a family that loves you, someone who tucks you in at night, to say to you,'You belong.' You need nutritious food, you need access to an education, you need access to health care." "And when you're growing up in a community that's missing all of these things, all these things that every other ... non-Indigenous Canadian enjoys in urban and rural settings — suicide is there, suicide becomes normal." The problems that Indigenous youth face are a legacy of colonialism and the erasure of identity, Talaga said, not just in Canada, but around the world. She visited Sami communities in Lakselv, Norway, in the Arctic Circle. There, Sami-led groups are in charge of their own mental health programs. "They have been looking at how to provide care to not just the child, or to the youth that has suicidal thoughts, but to the whole family," she said. When a child is in crisis, the entire family is given round-the-clock care and support, she explained, adding that the government provides medical leave for the parents to take time off work. The approach helps to combat generational trauma suffered at all levels of a family unit. By contrast in Canada, a child is often moved hundreds of kilometres to receive care, and then sent "back home to where the problems are," she said. Canada currently does not have a national suicide prevention strategy, but the Inuit people launched their own strategy in 2016. Talaga argued that a localized leadership was the strongest approach. "Communities know what they need. Communities know where the holes are and what the problems are and those are the strengths you have to gather," she said. "Listen to what they have to say, let them create their own strategies." Talaga hopes the lecture series conveyed a message of unity, and of what all Canadians, Indigenous and non-Indigenous, can achieve together. "I tried to bring music and art, tradition to every lecture, because this is who we are. We are so much more than bad headlines in a newspaper," she said. She believes all Canadians are beginning to see that the country is much stronger with all voices working together, but added that takes effort to achieve. "That means addressing a lot of hard issues. That means giving up power, that means giving up money ... working together, finding a new way," she said. "Because guess what Canada, what's been happening the last 150 years hasn't worked. We have got to start again." Written by Padraig Moran. Produced by Karin Marley.